I guess most of you already know Virginia's View Challenge? 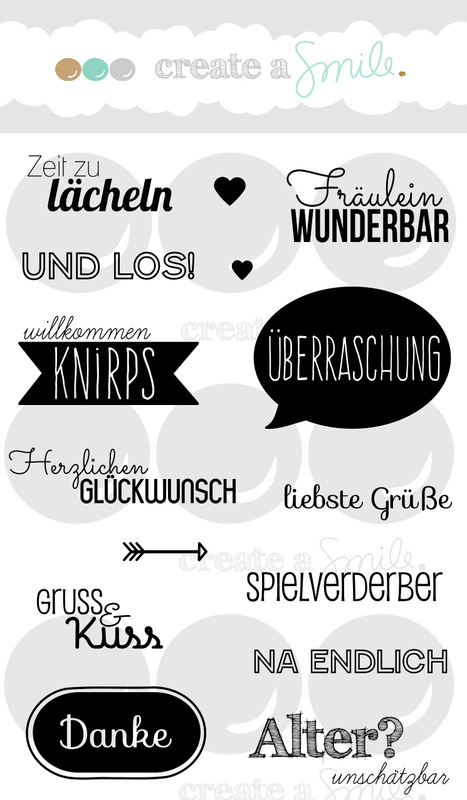 Virginia is a super talented, suportive cardmaker who's started her own challenge some time ago. And it was a big hit, because her challenges are inspiring and Virginia is well known in the cardmaking world. I think she was the first international cardmaker who ever left a comment on my blog and I still remember the proud feeling then. She motivated me from the very start and encouraged me to go further. I feel honored to be guest designing at Virginia's View Challenge today. We are giving away a stamp set and a stencil to one of the winners, so make sure to play along and win some Create A Smile goodies! This month Virginia's View Challenge is all about CAS creations. The sentiment says "time to smile". 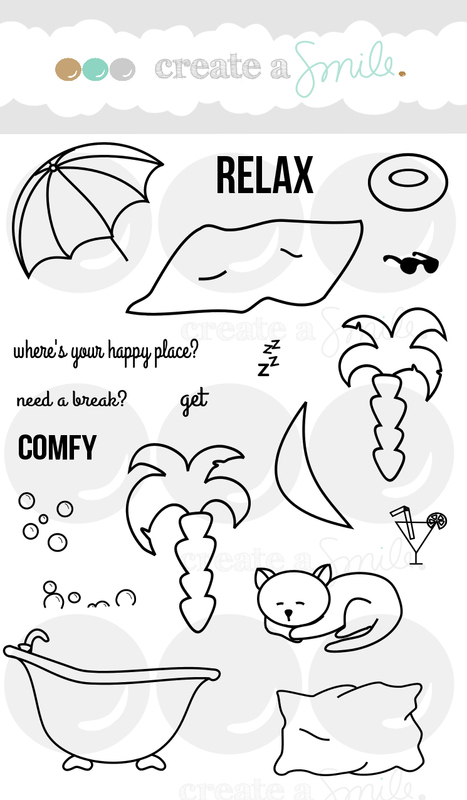 What's your favorite technique with stencils? How o you get most out of them? Thanks for sharing your ideas! 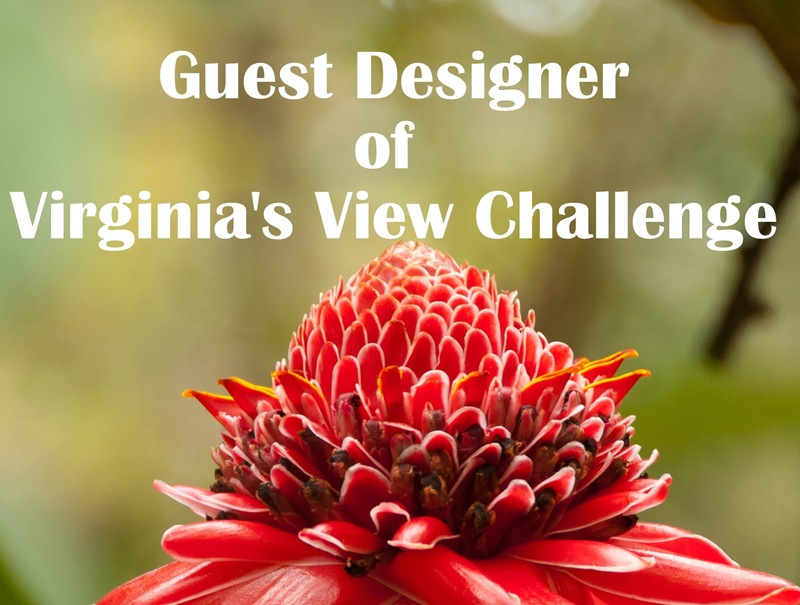 Now it's time for YOU to create CAS creations for Virginia's View challenge. I can't wait to see what you come up with! Love the stencil. Love, even more, how you used it on the card. Der Stenzil-Ausschnitt sieht total cool aus!! That swirly stencil is awesome! Love how you cut some of it out. 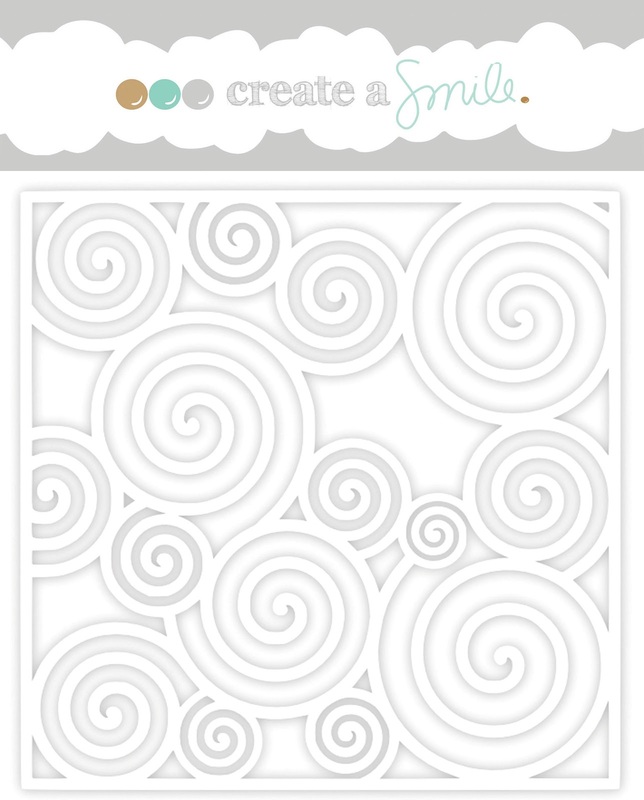 I'm very impressed with the selection of stencils Create a Smile is offering!